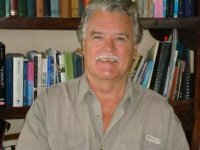 Author of The Third Force in Missions, Missionary-scholar Paul Pomerville speaks with PneumaReview.com about theologies and attitudes he believes have hindered the effectiveness of the church, particularly the church in the West. He urges Pentecostals to throw off the poisonous ideas of colonialism and the Enlightenment and instead be filled with the Holy Spirit of justice and peace. PneumaReview.com: Please tell us about your experience in missions. 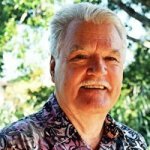 Paul Pomerville: After study in the national language of Indonesia, I started my service as an Assemblies of God missionary educating Indonesian ministers on the Island of Sumatra. I established a “theological education by extension” program that provided theological education for candidates for the ministry and active pastors in ten different areas of the island by way of independent study materials, a traveling faculty and weekly seminar-type training sessions. It was the first program of its kind in Southeast Asia; it was modeled after a similar program by missionary Dr. Ralph Winter in South America. When I was on furlough in the United States I started graduate education in missions. The next missionary service was in Brussels Belgium at the International Correspondence Institute, an arm of the Foreign Missions Division of the Assemblies of God. The Institute was preparing ministerial training materials and printing them on site for pastors and Christian educators via correspondence both in Western countries and also in the countries of the Southern Hemisphere. I wrote several courses and prepared an audience profile model of the developing countries for course writers for that part of the world, and also gave writers an orientation to that very different cultural audience. I also served as managing editor. On the next furlough in the United States I finished a Ph.D. in Intercultural Studies at Fuller Theological Seminary’s School of World Mission. I then served as professor and Department Chairman of the Missions and Cross-cultural Communications Department at the Assemblies of God Theological Seminary in Springfield Missouri. PneumaReview.com: In your book you state that there are certain theologies that hinder the cause of missions. Please tell us what those theologies are and how they impede the missionary cause. 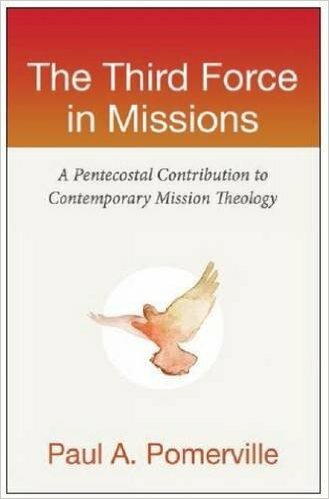 Paul A. Pomerville, The Third Force in Missions: A Pentecostal Contribution to Contemporary Mission Theology (Hendrickson Publishers, 2016). Read the review by Anna M. Droll. Paul Pomerville: The central thesis of The Third Force in Missions concerned the Pentecostal contribution to mission theology. At the time the first edition was written (1983) there were doubts as to whether there even was a Pentecostal contribution to mission theology. My contention at that time was that Pentecostal-charismatic Christians made up one-third of the world’s evangelical Christians and their growth was evidence of a potential Pentecostal contribution. However, the unprecedented Pentecostal-charismatic movement in the Southern Hemisphere today, the “third wave” of Pentecostal-charismatic renewal has proven the question of a Pentecostal contribution to be a “moot point.” Today, 800 million-plus Pentecostal-charismatic Christians are now a “first force” in Christian missions. It is clear that this unprecedented rapidly growing movement south of the equator was not due to “theology,” but rather the Pentecostal-charismatic experience with the Holy Spirit. Obviously, there is a “Pentecostal theology” undergirding the Pentecostal-charismatic movement that emphasizes the role of the Holy Spirit that two of the most influential theologies in the Northern hemisphere have not emphasized, but rather have neglected and outright denied—1) Western rationalistic scholastic theology of the post-Reformation period and 2) dispensational theology. Theology matters: if theologies are deficient in the doctrine of this “missionary Spirit” they hinder the missionary cause. Yet, there is a biblical theology that dominates the New Testament that Pentecostals follow which focuses on both the redemptive death of Jesus and the gift of the indwelling Holy Spirit, I call it “Jesus’ theology of the good news of the kingdom of God.” This was the name Jesus gave to the “good news” in his ministry; he taught and demonstrated that this good news of the kingdom of God concerned the power of the Holy Spirit. Therefore, the term “good news” in the New Testament is not exhausted by referring only to the redemptive death of Jesus, but it also includes the truth that his redemptive death provided for and included the gift of the indwelling Holy Spirit for Christians. Furthermore, the Acts of the Apostles portrays this gift of the Holy Spirit as a missionary Spirit. About the Author: Paul A. Pomerville, PhD (Fuller Theological Seminary), is a seventeen-year veteran of the Seattle Police Department who served as a missionary to Asia and Europe for thirteen years and as a Graduate Professor and Department Chairman of Christian Missions and Cross-cultural Communications at the Assemblies of God Seminary for two years. He is a graduate of Fuller Theological Seminary’s School of World Mission. For seven years he trained police in cultural diversity all across the United States, and continued for another seven years training police in Indonesia, East Timor and Bosnia Herzegovina. He is the author of The Cross-Cultural American: Ending America’s Obsession with Race (CreateSpace, 2009), Culture Blind Evangelicals and the Good News of the Kingdom of God (CreateSpace, 2009), Recovering Jesus’ Gospel of the Kingdom in American Culture: A Study in Luke’s Gospel-Acts of the Apostles (CreateSpace, 2010 and second updated edition 2016), The New Testament Case against Christian Zionism: A Christian View of the Israeli-Palestinian Conflict (CreateSpace, 2014), and The Third Force in Missions: A Pentecostal Contribution to Contemporary Mission Theology (Hendrickson Publishers, 1985 and second updated edition 2016). If you enjoyed this article, subscribe to receive more just like it via e-mail.